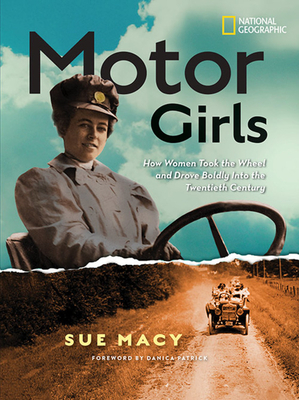 Synopsis (from the publisher): Come along for a joy ride in this enthralling tribute to the daring women - Motor Girls, as they were called at the turn of the century - who got behind the wheel of the first cars and paved the way for change. The automobile has always symbolized freedom, and in this book we meet the first generation of female motorists who drove cars for fun, profit, and to make a statement about the evolving role of women. From the advent of the auto in the 1890s to the 1920s when the breaking down of barriers for women was in full swing, readers will be delighted to see historical photos, art, and artifacts and to discover the many ways these progressive females influenced fashion, the economy, politics, and the world around them. Why I recommend it: I need to read more nonfiction, so when National Geographic offered me a free review copy, I gladly accepted (and I will donate it to my local library). I learned so much from reading this slim and yet entertaining book. It's chock-full of fascinating tidbits from automotive history, and the history of women's rights. Includes dozens of old photos, reproductions of original newspaper articles, and full-page bios of amazing women like Alice Ramsey, the first woman to drive across the United States in (can you believe it?) 1909! And A'Lelia Walker (daughter of self-made millionaire Madam C.J. Walker) who drove wounded soldiers in World War I as one of the members of the only Colored Women's Motor Corps. Sue Macy has done her research. This is a delightful book. And a painless way to absorb a little history and learn about some pioneering women. I would have been happier if the cover had more kid-appeal, though. I found the photo on the back cover more interesting. 1) Must pass an examination equal to that required to obtain a permit or license to operate an automobile in her community. 2) Know how to start a motor and be able to do it and be able to explain necessary precautions. 3) Know how to extinguish burning oil or gasoline. Bonus: This is a must-have for libraries. And now for another Diversity Monday! Synopsis (from Indiebound): Other than their first names, Naomi Marie and Naomi Edith are sure they have nothing in common, and they wouldn't mind keeping it that way. Naomi Marie starts clubs at the library and adores being a big sister. Naomi Edith loves quiet Saturdays and hanging with her best friend in her backyard. And while Naomi Marie's father lives a few blocks away, Naomi Edith wonders how she's supposed to get through each day a whole country apart from her mother. When Naomi Marie's mom and Naomi Edith's dad get serious about dating, each girl tries to cling to the life she knows and loves. Then their parents push them into attending a class together, where they might just have to find a way to work with each other--and maybe even join forces to find new ways to define family. 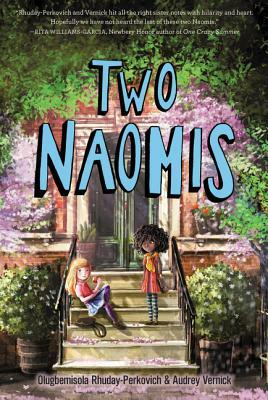 Why I recommend it: This is a warm-hearted, uplifting, and funny story about blended families, told in alternating POVs by the two Naomis. They're both jump-off-the-page real and honest and likable. I love that their differences are about which subject they like in school or which bakery in Brooklyn they prefer, or the fact that they simply don't want to get to know each other because they each already have a best friend. I like that the story isn't about race. It's about ten-year-old kids coping with divorce and blended families. It's about two girls who may even find they have something wonderful in common. I knew this book would be funny and honest because I've had the privilege of attending a workshop, given by these two awesome authors, about humor in MG novels. It was a few years ago, at a New Jersey SCBWI conference, and the best thing about it was how their friendship came shining through. Oh, and the laughs were real. Favorite lines: I thought I'd give each girl a chance, so here's Naomi Marie, from p. 4. "Ms. Starr sparkles again, which must be something they teach in librarian school, because Momma is like that too, especially these days whenever she talks about Tom. She's almost as excited about Tom as she is about Poem in Your Pocket Day." And here's Naomi E, from p. 12. "In the back corner, where the sun shines for most of the day in the summer, I have my own garden. Last summer I grew strawberries and tomatoes. I loved picking them when every last bit of green faded away and they were the perfect shade of ready-to-eat red. When they're ripe, you almost don't have to pull--they practically drop into your hand." Bonus: All of the parents are likable people too. Often in MG novels the adults come off as mean or distant, or the divorce is someone's "fault". Not so here. I wanted to hug every one of the characters in this book, kids and grownups alike.